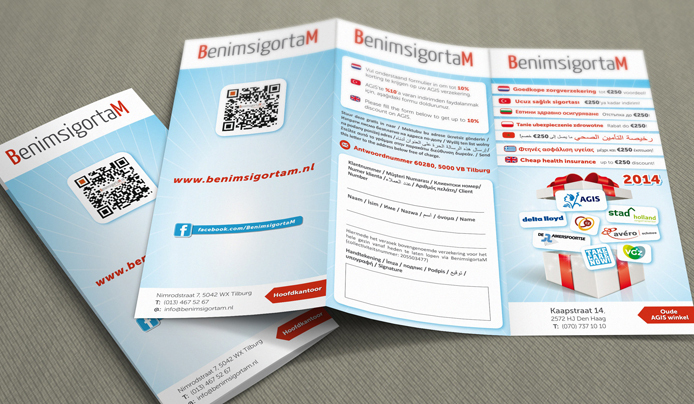 Benimsigortam’s marketing campaign launched in October and will run until the last day of 2013. 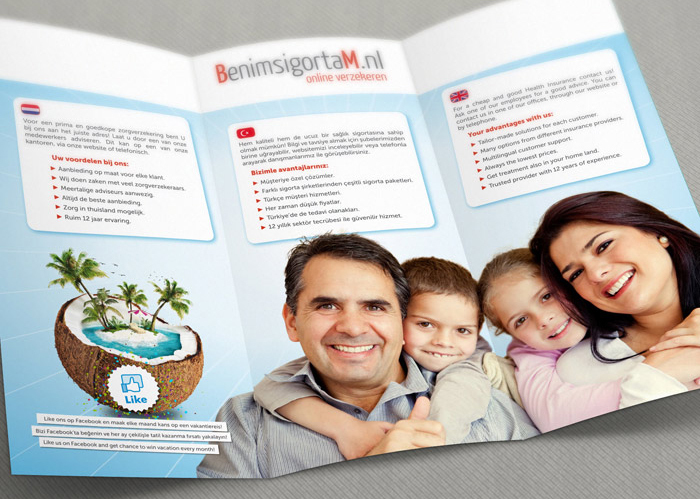 Differently from the campaigns of the last two years, the main focus is to create offer awareness amongst a wider range of the ethnic population living in the Netherlands. To do this, we made the campaign multilingual and as informative as possible. The flyers, posters and roll-ups we created as POS materials and the banner ads, web slides and Facebook banners made for this campaign, showed a clear overview of all information in multiple languages.